Sunderland lost ground in the hunt for an automatic return to the Championship yesterday, drawing 1-1 in a bruising encounter with Wycombe. Three men were sent off, two of whom had already been taken off in George Honeyman and Nathan Tyson. Wycombe’s Marcus Bean also got his marching orders for a lunge on Duncan Watmore, the Sunderland goal hero. The result leaves the Black Cats four points adrift of Barnsley with a game in hand, but the two sides face each other on Tuesday looking to cement their top two credentials. 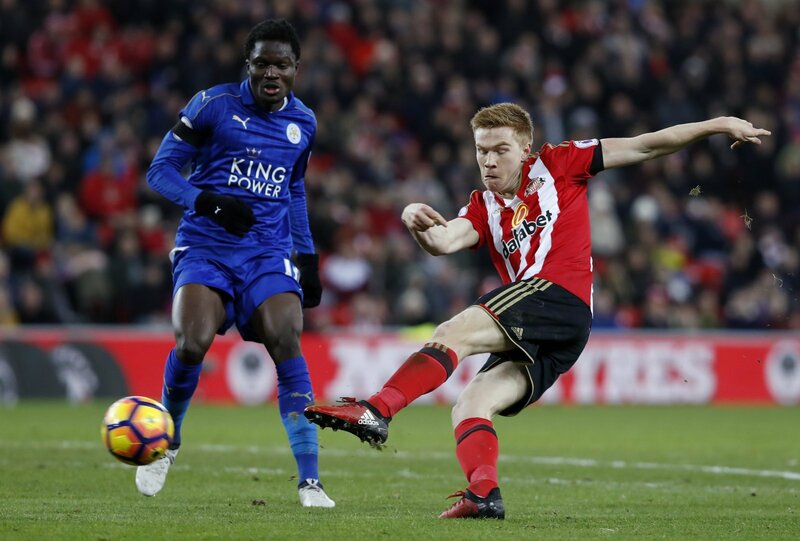 One player who might be a doubt for that tie is Watmore, on the receiving end of the crude challenge from Bean after his goal. Having just come back from injury, the 25-year-old is left sweating on his current fitness after limping out following the crude challenge. Bean has taken to Twitter to apologise to Watmore, not only acknowledging his previous injury concerns but claiming he meant no malice. The draw left Wycombe in 12th place, but just five points clear of the bottom four in a tightly-packed League One table. The challenge didn’t have malice in terms of wanting to injure the player, but it was crude and designed to stop him getting past. It’s cynical, meant to gain an advantage unfairly and it got the straight red card. At least Marcus Bean has taken the chance to apologise, even if that won’t help Duncan Watmore one bit.